Unstable weather conditions and a decline in temperatures are expected on hit their nadir on Thursday in Cairo, the Nile Delta, the northern coast and parts of North Sinai, the Egyptian Meteorological Authority said. 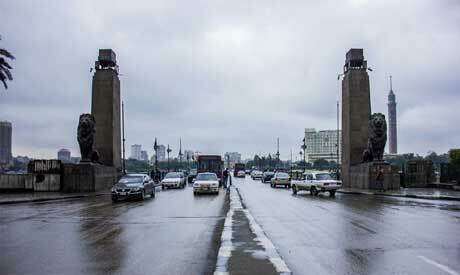 Light to medium rain is expected in Cairo on Thursday while heavy rain is expected on the Mediterranean coast. The EMA called on citizens to wear heavy clothes and to avoid watersports in the Mediterranean. The unstable weather is expected to last until Sunday. The authority also urged officials to take the necessary precautions to limit the effects of bad weather conditions. Egypt’s Red Sea Port Authority said that the Sharm El-Sheikh port was closed on Thursday due to bad weather, Al-Ahram Arabic news website reported. The Port Authority said in a statement that the South Sinai port was closed due to strong winds, high tides, and turbulent maritime navigation.